Ο Ρώσσος πρέσβης δηλώνει ότι η Ρωσία ουδέποτε θα δεχθεί νατοϊκές εγγυήσεις στην Κύπρο. Ουδέποτε θα δεχθεί νατοϊκή λύση στην οποία το ΝΑΤΟ θα έχει ρόλο την Κύπρο. 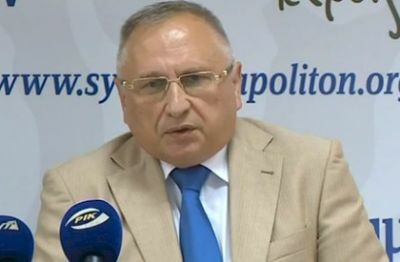 THE Russian Ambassador to Cyprus Stanislav Osadchy has stated that Russia supports fully the two leaders in Cyprus for reaching a solution on the Cyprus problem, reports Turkish Cypriot daily Havadis. Osadchy stated that Russia assured that it will support and accept any solution approved in referendum by the two sides in Cyprus. He also stated that any decision taken by the two communities in Cyprus must be met with respect. He said that a big progress has been made at the negotiations adding that the good relations between the two Cypriot leaders contributed in a positive way. He also expressed the hope that the two leaders will do everything possible for reaching an agreement. Asked if the current guarantees system should be continue or come to an end, the Russian Ambassador stated that this issue will be solved with the participation of the countries involved. However, he stressed that Russia will never accept a guarantees system in which NATO will play a determined role.